Lots of festive and fun Holiday ideas for fans for the Lord of the Rings and The Hobbit at Christmas. Filled with treats, decorations and plenty of fantasy things to make and do. Magical Middle Earth fun can be had this Christmas Holiday season by going festive with a real Hobbit and LOTR theme. I'm a life-long fan of Tolkien's amazing little halfling creatures that he invented and I love the idea of having a fantasy occasion. You can get the Shire style for your own home and then have lots of fun with a party or even an Unexpected Gathering! This page comes filled with unique and fun ideas for you to have yourself a geeky and Merry little Hobbitsy Christmas. And you can make Master Baggins proud by celebrating it in true Shire style to spread the magic and the joy around. Unfortunately for fans, there is a lack of themed Christmas decorations or ornaments that you can easily get hold of which means that you might choose to make your own items or buy items that could work with this theme. I have found a few good ones which are shown below. Since I love crafts, I ended up making my own ornament for our tree using fused Perler beads which is fun and easy to do. The finished design is based on the really iconic front door that belongs to the most famous Hobbit character, Bilbo Baggins. As any fan knows, what is special about this door is that it is perfectly round and it is painted green. The color is an ideal one to nestle in among the other decorations on your tree for the festive season. Here's some more ideas for your table, room and party decor that you can use for this Middle Earth fantasy adventure theme. Most of this cake top is iced, just so you are aware but the set of figures and the little scene has great reviews from people who've used it for birthday and party cakes. Turn it into a festive offering by adding some holly cake decorations which will match in color with both a Hobbit and a Christmas theme. 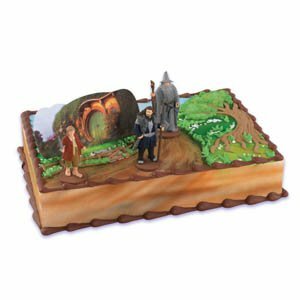 As well as this set, you can also buy toy figurines from An Unexpected Journey and The Desolation of Smaug movies to place on top of your cake too. See my Hobbit Cookies Page to make them! Make some Bag End style cookie biscuits by using round cookies decorated with fondant icing. The size of this figure is ideal if you are making a large Christmas cake and are looking for a centerpiece for it. You can also use this as table decor by raising it up in the middle of your table. Other characters from the Tolkien books are available including Gandalf, Gollum, Legolas and Frodo. 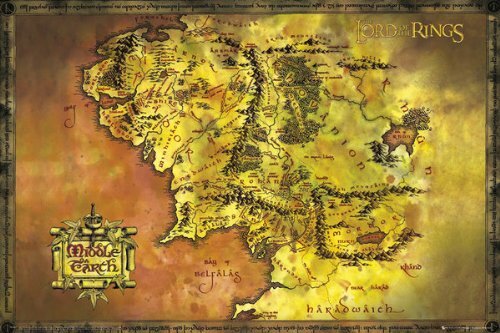 If you need some wall decor, how about a large sized poster map of Middle Earth? This will fill a large area of blank wall and is something that can be used still and enjoyed after other seasonal decorations have been taken down. The other option is to print out images of your favorite characters which you can frame and hang around a room. Or look for those life sized cardboard cutouts which stand up wherever you place them. Perler Beads make fun, easy and inexpensive gifts. The image here shows a refrigerator magnet that I made based on the logo of the Hobbit. Magnets are very easy to produce because you can buy self-adhesive magnetic sheets that you can cut to size and stick to the back of a completed Perler bead project. I hope you are finding this lens page useful because it has been written with care. You'll find plenty more inspiration for celebrating with a real Middle Earth twist below. Visit my Hobbit Perler Bead Projects Page to get ideas on what you can make. These mini plush figure toys are very cute. 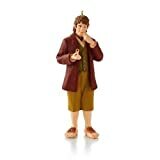 This is a new Bilbo Baggins product which features the young Bilbo from the new Movie: An Unexpected Journey. A sweet toy for kids and a cute fan gift which can be propped up on a shelf or sit next to a computer. He even comes with his little Sting Sword too. 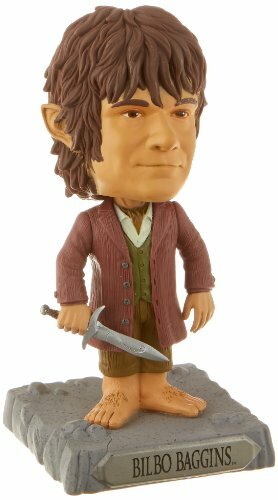 Other characters are available including a Gollum, Gandalf and Orc figures. Fancy a Middle Earth Battle on Christmas Day! Now You Can! Kids both big and small will have plenty of fun with this brilliant light and sound toy sword which is based on the design of the sword Sting used by the Hobbit, Bilbo Baggins. Why not buy two so you can have pretend battles. That's what we intend to do. Fantasy fairy homes are a bit of an obsession of mine. I love sewing and mostly with felt fabric which is really easy to manipulate into free-standing items. 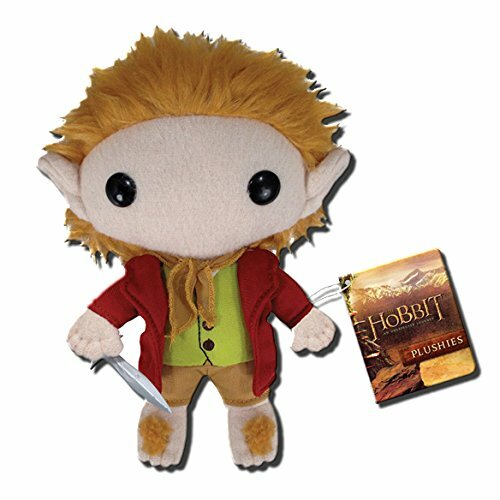 If you have some time to spare, consider making your own little wee Hobbit home plush which can be used as a decoration or as a pincushion. You can style your own in any way that you prefer. I love making these fairy tree homes which remind me of something I might see if I ever did visit Tolkien's Middle Earth. Visit my Felt Fairy Home Free Tutorial Page to see how to make one. This is my free card design for a unique greetings card which is ideal for a birthday or even for Christmas. A great and fun project that kids enjoy decorating once you've made the basic card for them. To turn this handmade card into a Seasonal Christmas Card, add in some traditional Holiday colors of red and green, some red paper flowers that look like seasonal poinsettias, glitter, tinsel and lots of special sparkle stickers and flat-backed gems. I hope you've enjoyed reading my wizzles page today, thanks for your visit. Happy Holidays to you. 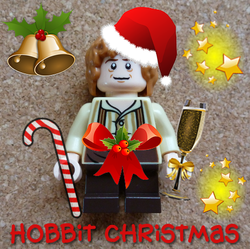 Have Yourself a Wee Merry Little Hobbit Christmas! A Bilbo Baggins Costume is a great choice for any Lord of the Rings or Hobbit fan - big or small. Dress as this Shire character in just 5 easy steps with these outfit ideas. The best way to buy traditional Christmas candy is to know both a bit of the history behind the candy, where to get the best and get a great deal. Follow along as we cover both.